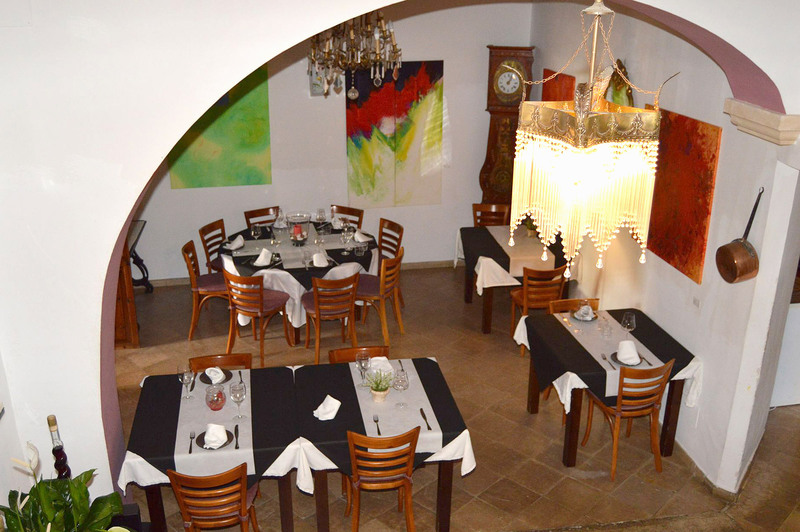 Enjoy our Mediterranean cuisine in mallorquin atmosphere. We are renowned for our extensive range of selected wines. You can choose from Mallorcan, Spanish and international wines. Enjoy our café’/restaurant which offers seating in the sun or shade. You can choose between outdoor seating in the middle of the old historical market place or inside our bright air-conditioned restaurant. Our unique Mallorcan small patio offers a relaxed and peaceful atmosphere. Allow us to surprise you with our excellent, creative market-fresh cuisine and our extensive wine list offering selected Majorcan, Spanish and international wines. Enjoy our varied cuisine also in the evenings. The philosophy of the cuisine is based on “slow food”. The dishes are always freshly prepared for you with ingredients from local producers.